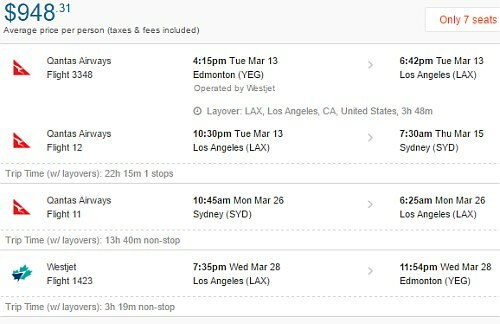 Qantas (a great airline) has dropped the price of their February, March, April, and May 2018 flights from Edmonton to Sydney, Brisbane, and Melbourne, Australia down to $948 CAD roundtrip including taxes. 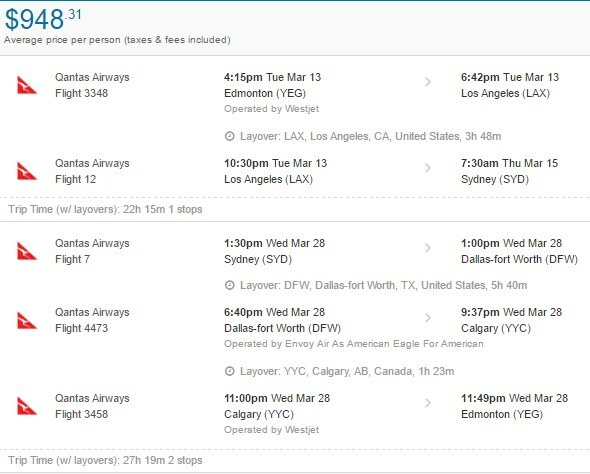 A lot of these flights have long and/or multiple layovers from Edmonton, if you book a regular roundtrip flight. 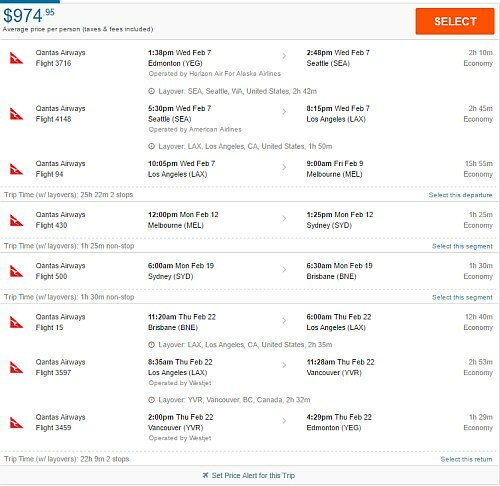 However, it's also possible to turn these into 2-in-1 trips and visit both Australia *and* Los Angeles or San Francisco, and keep the price at $948 CAD roundtrip. Doing it this way can also help get rid of the long and/or multiple layovers. You can also find 3-in-1 trips that allow you to visit all 3 of these major Australian cities (Sydney, Brisbane, Melbourne) on one trip for just $974 CAD ! TIP: Try starting with Monday, Tuesday, Wednesday, and Thursday dates. 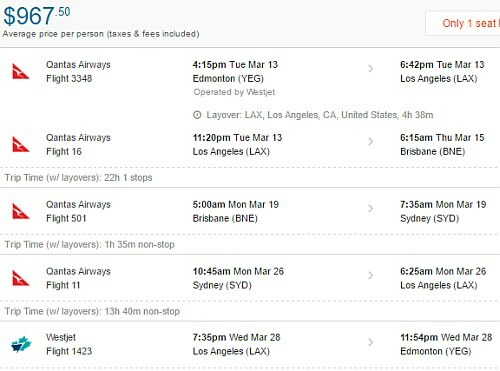 Once your search completes, click on 'Flexible Dates' and look for the flights that are $948. We can see that it's from March 13 to March 28, and involves 1 stop on the way there, and 2 stops on the way home. 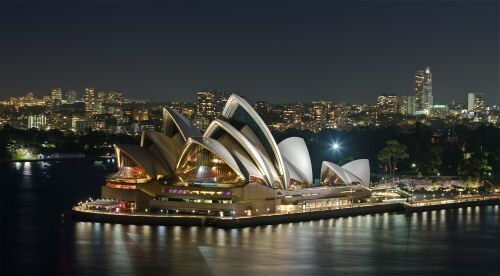 With this 2-in-1 trip, we have 1 stop on the way to Australia. And then the flight home from Australia to Los Angeles is non-stop, and so is the flight from Los Angeles back to Edmonton. You can also find 3-in-1 trips that allow you to visit 3 major Australian cities on one trip (Melbourne, Sydney, and Brisbane) for just $974 CAD !